Heritage & Heritage are a proud Australian owned and family operated company since 1934. We are focused on caring for bereaved families. Over three generations of the Heritage family have upheld a continuous funeral tradition. 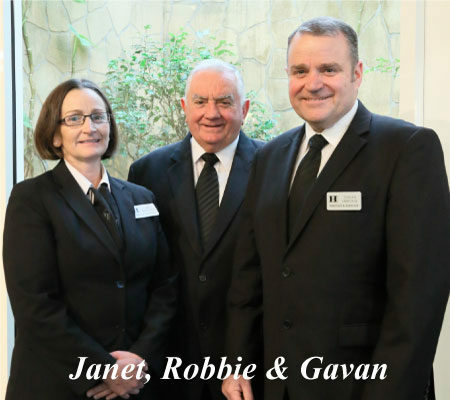 Robbie, his son, Gavan and daughter, Janet continue this proud family history of professional care throughout the Yarra Valley and surrounding areas. We operate modern and comfortable funeral homes of the highest standards. We conduct our business in a family – focused and understanding manner. The Heritage Family are focused on caring for bereaved families. Whether it’s assisting you make your own pre-need arrangements, guiding you through the intricacies of arranging a funeral or helping you through the process of grief, we have the experience to make it all as painless as possible for you.